Commercial fleet operators must continually review the bottom line to ensure a full return on investment in their vehicles. Many utilizing options such as tire retreading as they look to consolidate their costs further in 2018. 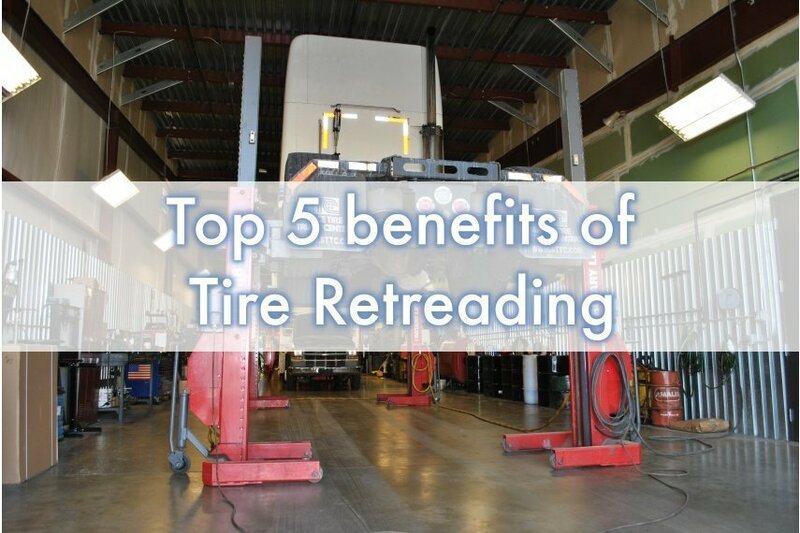 In this latest post, our team at STTC highlights the top five reasons to use tire retreading for your commercial fleet. Some of the reasons so many commercial fleet operators use tire retreading is because the retreads offer optimal tire wear, superior traction, and safety for the vehicle. To highlight this point, government agencies often choose retread tires for ambulances and fire trucks, which require the highest level of safety for quality performance. The data shows that bald tires and underinflated tires are the likeliest cause of tire-related accidents, and so proper tire maintenance is of the utmost importance. The most expensive part of the tire is the casing, which is why it’s important to preserve the life of the casing even if retreading the rubber on the exterior. Rather than having to replace the entire tire when the rubber diminishes, companies can avail themselves of the retreading process and achieve like-new performance. Because tires represent the largest part of the average maintenance budget for fleet operators, retreading can lead to significant profit enhancement. Many fleet operators are now turning to green initiatives to showcase their company’s commitment to the local environment. Tire retreading is an important part of this process. The process of tire retreading uses 15 fewer gallons of oil per tire than required to manufacture a new tire product. Carbon emissions and material use are also reduced when committing to tire retreading processes. Additionally, a tire that is retreaded is one less that needs to be disposed of. This means companies can help improve the environment while reducing their in-house costs significantly. Another clear advantage of retread tires is that the tire is designed to offer durable performance over the years ahead. Because they are made of similar rubber compounds and tread designs as new tires they wear in a similar amount of time as new tires. Most retread tires will last several years when maintained effectively. You can now find retread tires for all types of fleet vehicle. This is ideal for those with growing fleets that require tires for various kinds of trucks. The marketplace provides a full range of options from which to select, so you can find the ideal option that provides safety and vehicle performance for the long-term. It’s important to choose a trusted specialist when selecting retread tires for your fleet. Our team at STTC has decades of experience in the tire retreading process. To discover more about our company and our tire options, contact us today.